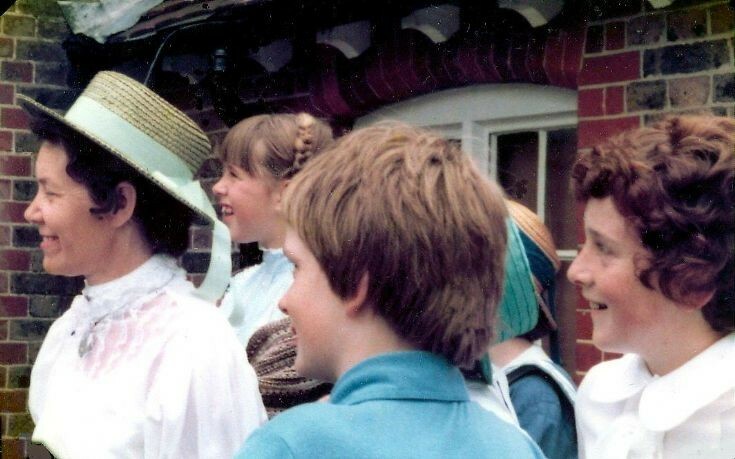 Taken at the Handcross School centenary celebrations in July 1978, here are six photographs featuring mostly the pupils. Above is one such picture with Head Teacher, Miss Rosslyn Stenning. The Large Version shows a group of pupils with Sid Sargent in the background studying the school bell hanging in its new frame. Select Open document to view: 1 & 2 Groups of pupils with Miss Margaret Morgan, 3 Group of five girl pupils, 4 Alison Ray.